Creative agency from Dentsu Aegis Network, Taproot Dentsu, has rolled out a campaign for Network 18’s CricketNext, an app that puts the cricket-crazy fan at the centre of it. 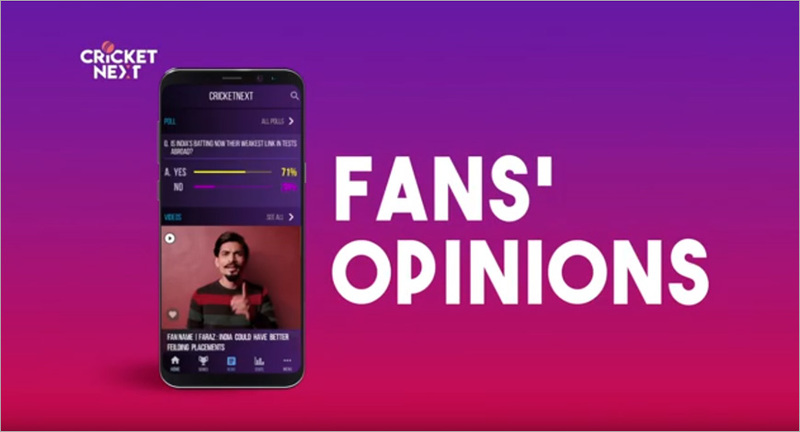 The app is designed such that it is a forum for fans to voice their opinion and post video comments, along with other standard features such as live score updates. In keeping with this theme, the films celebrate these opinionated fans. The campaign comprises of two films, in which arm-chair experts are unexpectedly given a platform where they can be heard and valued. The campaign stars veteran cricketer, Anil Kumble.